Croatia’s EU Membership: Further Crisis Or Recovery? Does Russia-China Alliance Have a Chance Against the USA? Apparently the alliance between Russia and China has been a major headache for the SUA for decades. The alliance seems to be the only deterrent and restraining force. Western editions sometimes remind us about that. All this month the pair has been trading within wide sideways channel with a range of 0.9050-0.9300. Bulls tried multiple times to break through the upper border of the channel, but they’ve succeeded only in approaching to 0.9350 level. The pair is in need of additional driver to overcome strong resistance level of 0.9300. At the beginning of the month the pair hit again the local maximum of the autumn 2011, then USD/CAD started to decrease. 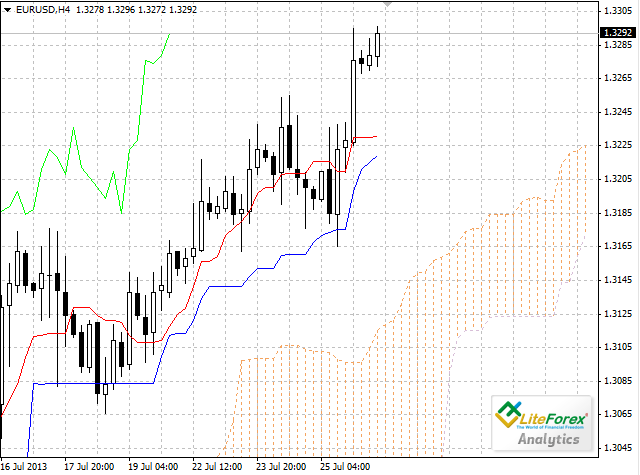 After that the pair was trading within 1.037-1.043 range. Bears tried to break down the level 1.0370, which corresponds to 50.0% of Fibonacci lines and they have finally succeeded. The next support levels won’t stop the fall either. At the opening of European session the pair fell to support level at 1.3175, and after that was trading near the level of 1.3200. The data on Eurozone released today was above experts’ expectations: index of business climate and current assessment index in Germany have overshoot projections. 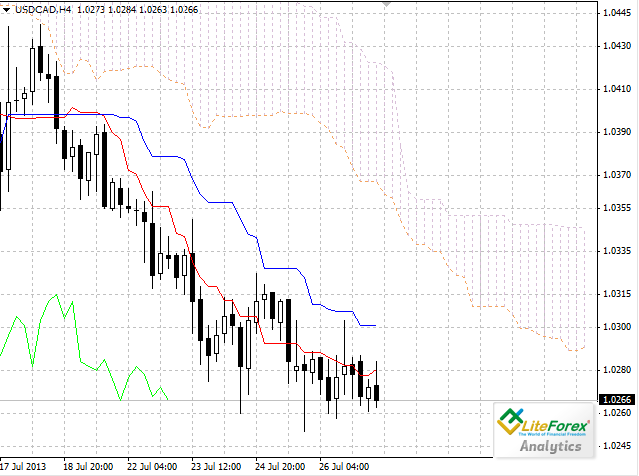 The pair NZDUSD has started this week with a growth and hit two-month maximum at 0.8010 on Tuesday. This level corresponding to the upper border of the ascending channel hasn’t been broken through. The price is being corrected now due to the unfavorable date on China manufacturing index. Its rate in July is 47,7 points, but the experts expected it to be 48,6 points.